My husband and I have a New Year ritual. In early January we sit down of an afternoon with some magazines. In beautiful silence, we each cut out pictures individually representing our goals for the year ahead. And then we assemble a vision board, together. Sometimes we have to negotiate and “sell in” why a vision ought to make the year’s board. Other times we are (excuse the pun) exactly on the same page. It serves as a great visual point for reflection through the year as well as at its end. It’s our special way of transitioning into the year together. (If this technique resonates with you, try it out as a team exercise at work too, especially if you have some visual thinkers in your department). 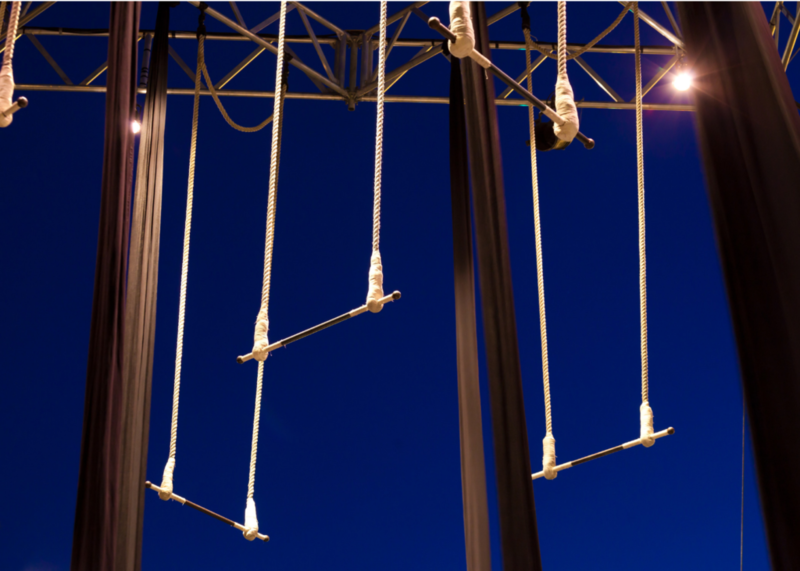 During this time of transition between one year and the next and as we turn our minds to returning to work from a break, I wanted to share with you the parable of the trapeze by Danaan Perry. I see another trapeze bar looking at me. It’s empty. And I know, in that place in me that knows, that this new bar has my name on it. It is my next step, my growth, my aliveness coming to get me. In my heart of hearts, I know that for me to grow, I must release my grip on the present well-known bar to move to the new one. Each time it happens, I hope that I won’t have to grab the new one. But in my knowing place, I know that I must totally release my grasp on my old bar, and for some moments in time I must hurtle across space before I can grab the new bar. Each time I do this I am filled with terror. It doesn’t matter that in all my previous hurdles I have always made it. Each time I am afraid I will miss, that I will be crushed on unseen rocks in the bottomless basin between the bars. But I do it anyway. I must. Perhaps this is the essence of what the mystics call faith. No guarantees, no net, no insurance, but we do it anyway because hanging on to that old bar is no longer an option. And so, for what seems to be an eternity but actually lasts a microsecond. I soar across the dark void called “the past is over; the future is not yet here.” It’s called a transition. I have come to believe that it is the only place that real change occurs. It can be terrifying. It can also be enlightening. Hurdling through the void, we just may learn to fly*. Sound a little like what it feels like taking a leap into legal innovation? Well, my ebook Legally Innovative is on the other side of your trapeze bar to hopefully help you avoid a fall; to make letting go of old ways of working easier. There’s even practical exercises aka W.O.W Goals after each of the three sections to support your transition. New Year Offer: Between now and Tuesday 8 January 2019 (ending midnight AEST). All you need to do is subscribe via Stay In the Know on my website and I’ll send you a redemption link to discover my ebook for only USD$30. That’s a 40% discount off the RRP! Wishing you a year of success in overcoming hurdles and embracing transformational legal acrobatics.